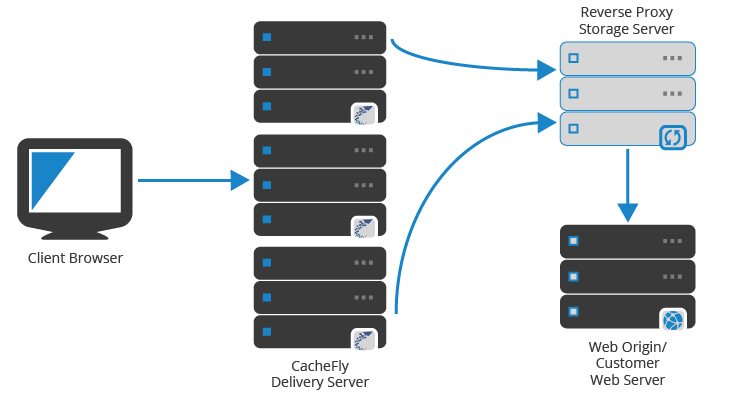 Previously, we talked about CacheFly CDN. CDN is one of the fastest CDN. Here is How to Setup CacheFly CDN for WordPress. We are Showing for Both Origin Pull & Origin Push Way. If you are not sure about Origin Pull & Origin Push you can read this guide. Although, we have a Generic guide for WordPress With W3 Total Cache CDN setup, considering it is 5 years old guide, we are freshly writing this guide on how to setup CacheFly CDN for WordPress with other plugin too. It is quite easy to set Origin Push for CacheFly CDN with W3 Total Cache. If you are already any CDN is configured via W3 Total Cache, deactivate (uncheck Enable under CDN and save all the settings) the current CDN to rewrite from W3 Total Cache from the General Settings of W3 Total Cache, then removpe the Nginx rules in case you are using Nginx, Apache2 rules for Apache2. Flush the cache. Under General Settings, you possibly check all the fields except Import external media library attachments. Save all the settings. Under Configuration settings, check SSL support for HSTS/HTTPS websites, do not check for non-HTTPS websites. Under Configuration settings, in the Replace site's hostname with field, copy paste the sub-domain of CacheFly, which will be like username.cachecdn.net. Fill up the other fields, save all the settings. Now click Test. Test will pass. Upload the files via W3 Total Cache’s that webpage one by one. POP-up will appear and you will able to see the uploading. After checking one two files presence on CDN by opening on browser, again go to the General Settings of W3 Total Cache, Enable the CDN by checking the option and Saving all the settings. Flush the cache of W3 Total Cache. Check with webpagetest.org or tools.pingdom.com whether your webpage is loading the static files from CDN. We recommend to use Origin Push for CacheFly CDN for initial try if you are not using custom subdomain. CacheFly technology possibly expects the files to be on one directory, not under sub-sub directory. It is for the advanced users. First, you need to set a subdomain like cdn.thecustomizewindows.com. You can set multiple. In case, your website is HSTS/HTTPS and you are not using a wildcard SSL certificate, use our guide to get free SSL certificate by Let’s Encrypt. CacheFly CDN uses the name Reverse Proxy for Origin Pull. There are needed setup on CacheFly CDN’s client area. Follow their guides for Reverse Proxy and Enable it. It is very easy to set CDN from WordPress With W3 Total Cache, when Origin Pull is used. If you are already any CDN is configured via W3 Total Cache, deactivate (uncheck Enable under CDN and save all the settings) the current CDN to rewrite from W3 Total Cache from the General Settings of W3 Total Cache, then removpe the Nginx rules in case you are using Nginx, Apache2 rules for Apache2. Flush the cache. Now, from the General Settings of W3 Total Cache, set Generic Mirror under Origin Pull and Save all settings. Now, go to the detailed options of CDN of W3 Total Cache Plugin. Under General Settings, you possibly check all the fields except Import external media library attachments. Save all the settings. Under Configuration settings, check SSL support for HSTS/HTTPS websites, do not check for non-HTTPS websites. Under Configuration settings, in the Replace site's hostname with field, copy paste the sub-domain of CacheFly, which will be like username.cachecdn.net. Now click Test. Test will pass. Enable the CDN by checking the option and Saving all the settings. Flush the cache of W3 Total Cache. Check with webpagetest.org or tools.pingdom.com whether your webpage is loading the static files from CDN. There are other Plugins for WordPress CDN. They are used in this kind of situations. As far we can remember, that plugin was good in version 1. There was some problem after a version of that CDN Sync Tool. Unless there is any reason, it is better to avoid lesser used plugins. For Origin Pull, initial work is more and we suggest to use KeyCDN for Origin Pull. They at this moment has easy setup. This Article Has Been Shared 8737 Times! Cloud Computing Junk Websites are basically useless websites. Some websites suddenly injecting wrong informations in the search engine to catch visitors. Social, Mobile, Cloud Computing and Information Technology – all together made a major paradigm shift. Convergence has opened up new business opportunities. Cite this article as: Abhishek Ghosh, "How to Setup CacheFly CDN for WordPress," in The Customize Windows, May 23, 2016, April 23, 2019, https://thecustomizewindows.com/2016/05/how-to-setup-cachefly-cdn-for-wordpress/.